Austin - Thursday Republican Party of Texas (RPT) State Chairman Steve Munisteri outlined the Party's strategy relative to protecting the citizenry's right to have their elected officials represent their interests in establishing boundaries for Texas legislative and Congressional districts, rather than an unelected judicial panel which has overstepped its bounds and applied questionable jurisprudence and logic. Chairman Munisteri stated, "We believe it is an important principle of the Republican Party that the judicial branch of government should not use its authority to legislate, rather than undertake its constitutional duty of applying and interpreting the law." "It is clear to me that two of the three judges on the San Antonio federal panel have attempted to usurp the legitimate authority of the Legislature to create redistricting maps by deciding to replace the constitutional legislative duty with their own political agenda. The federal panel has created districts as they see fit, rather than the elected representatives of the people. This action becomes clearer when you look at the redrawn maps, and observe radically altered boundary lines for districts which were devoid of any controversy to all political observers, prior to the actions of the federal panel. Also, the presumably main argument offered by liberal Democrat groups' arguments who brought the suit, was that their challenge to the redistricting map was to protect the rights of Hispanics. This argument has been undermined by the fact that the federal panel altered the legislative-drawn district lines so radically, that it has discouraged a Republican Hispanic, Aaron Pena to choose retirement rather than run for re-election." "The Court also seems to fail to take into account the fact that more Hispanics have been elected statewide on the Republican ticket than on the Democratic ticket. In the 2010 election, the RPT helped elect five new Republicans of Hispanic descent to the State House, two new Republicans of African-American descent to the State House, and two new Republicans of Hispanic descent to the U.S. Congress. If you add the two new Republican Hispanic Congressmen to the number of already existing Democratic incumbents of Hispanic descent, and combined the further anticipated wins by Hispanics under the legislatively-drawn map - this would yield a Congressional delegation whose percentage of Hispanic Congressmen would approximate the percentage of eligible voters of Hispanic descent in Texas." "The bottom line is that it appears to us as if political considerations overrode legal considerations, with the maps handed down by the two judges in San Antonio. The Republican Party of Texas will not stand by idly and allow this to occur. Consequently, the Party is advocating a three-prong strategy to either prevent this injustice from occurring, or to undo the damage done by the court through legitimate legislative means." 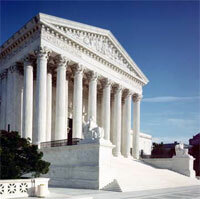 "First, the Party strongly supports Attorney General Abbott's motion for a stay filed with the U.S. Supreme Court. We are particularly grateful to the Attorney General for tailoring the relief sought in such a way, so as to preserve the original primary date for officeholders and races not affected by the contested redistricting maps. This will allow the RPT to select its delegates and alternates to the Republican State Convention in a timely fashion, and will also allow the Party to comply with the Texas Election Code, which requires us to have a State Convention in June or July." "Second, the Party supports the Attorney General's efforts to obtain a favorable final ruling from the Washington D.C. federal panel. As a safeguard and backup strategy, I will be asking the State Republican Executive Committee (which meets this weekend in Austin on Saturday, December 2nd) to pass a resolution authorizing the State Chairman to request that each of our legislative candidates pledge to support a new redistricting effort in the next session of the legislature, in the event that the maps drawn by the Legislature are not enacted by the courts. The resolution will also request the SREC to grant the State Chairman the authority on behalf of the Party, to request in such an event, that the Speaker, Lieutenant Governor and Governor, all support the efforts to lead a new redistricting effort in the 83rd Legislative Session. If granted the authority by the SREC, I will also instruct the RPT political staff to begin preparing a legislative lobbying blitz to push for redistricting at the next session." "Finally, if the legislative maps are not upheld prior to the next election, the Party will redirect resources toward swing districts under the court panel's maps, so that we minimize the damage of the Court's map and increase our chances of having a Legislature favorable to appropriate redistricting in 2013."